Helps the patrol leader plan and steer patrol meetings and activities. Helps him keep patrol members informed. Helps the patrol get ready for all troop activities. 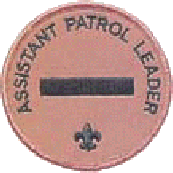 Represents his patrol at patrol leaders’ council meetings when the patrol leader cannot attend.